New York City's High School of Performing Arts provides the backdrop for the Pickwick Players's production of the popular stage musical "Fame," opening Friday at Cole Theatre, 2000 W. Wadley Ave.
"We play ourselves in the show," said Lana Sanford, who will be attending Lewis and Clark College, Portland, Ore., in the fall. "Normally, there are specific roles, but we are going by our names rather than our character's name. My character is molded after the character of Carmen. I still have a Spanish flair, and I still have that rebellious side. "It's a super energetic show, and it definitely fits our age group. Most of us are playing kids our own age so we can relate to them a lot more than shows we've done before. ... I like the relationship aspect of this show. There's so many different relationships, and they are so dynamic. And I think it definitely shows how teenagers really are." This isn't the first time the Pickwicks have used their own names in a production. 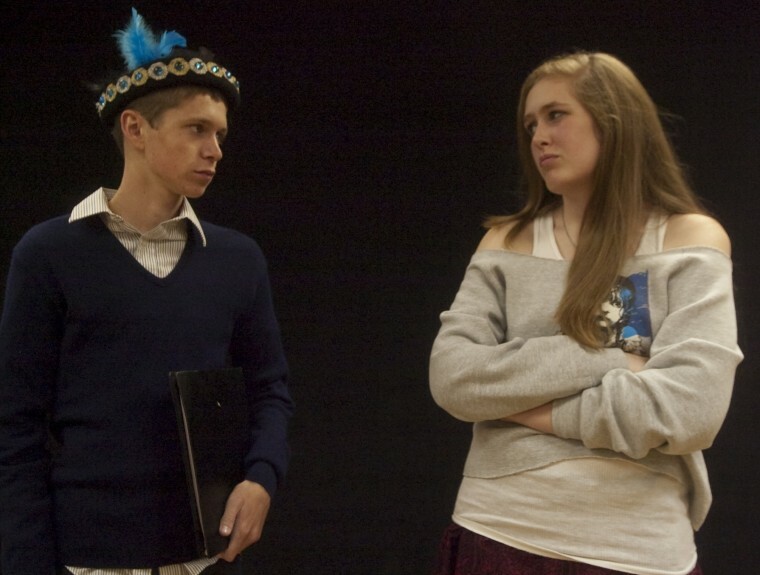 "We did that last year for 'Godspell,' and I think it's kind of a cool thing to do," said Alex Speight, a sophomore at Midland High School in the fall, who is playing the shy yet enthusiastic actress Serena Katz who develops a crush on Nick Piazza. "I think it makes it easier to relate to a little bit. I think it's because they are kind of like us. They are all performers. And that's what we are - performers." Speight was excited when the Pickwick Director Bill Williams decided on "Fame" for this summer's musical. "It's a cool story, one of my favorite musicals," said Speight. "I told Bill last year during the spring that I really wanted to do 'Fame.' And then he picked it, and it made me happy." Stone Fuglaar, a junior at Trinity School this fall, plays the ambitious character known as Nick Piazza, who is serious about acting. "I would say it's about a group of teenagers going to a fine arts school and striving for success," Fuglaar said. "All the teenagers who go there to school really want success but find out it's not as easy as it looks," said Kyle McDuffey, an eighth-grader at Midland Classical Academy next year. "And to get there they have to all work together." The stage musical is based on the 1980 musical film. Conceived and developed by David De Silva, the musical has a book by Jose Fernandez, music by Steve Margoshes and lyrics by Jacques Levy. Not all of the characters are teenagers. 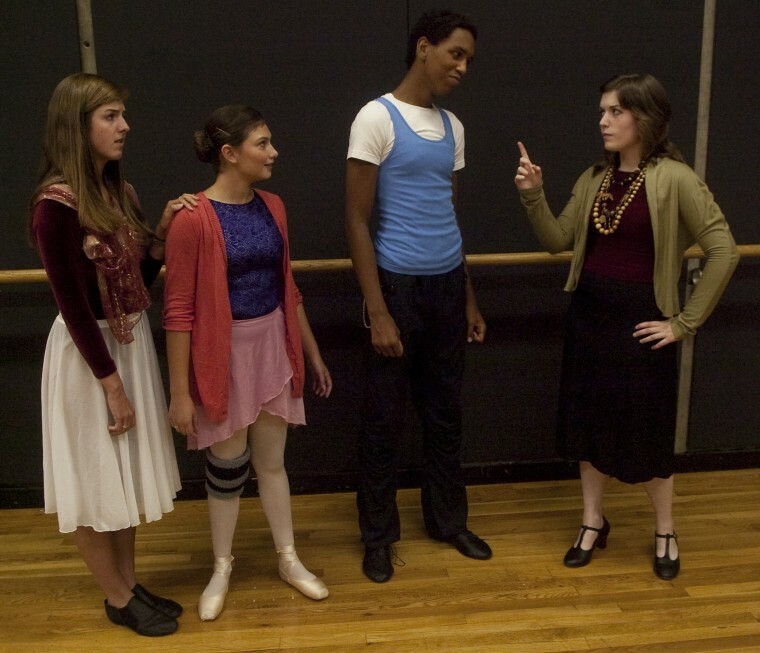 Mag Jones, a freshman in the fall at the University of Oklahoma, plays the dance teacher, Greta Bell. "I like how passionate my character is about dance," said Jones. "And she really cares about her students." Reagan Cruse, who is going to Southwestern in the fall, plays the old-fashioned English teacher, Esther Sherman. "She comes across as strict and a little bit mean, but she's really not," said Cruse. "She cares. These are her children. I have a song that summarizes how she feels about them." "Fame" offers something for all age groups, Cruse said. "I think adults will definitely get something out of it. Kids will enjoy it because it's fun. It's family friendly, and it's a good story. It's all about change, and it's real interesting because it takes place over four years so a lot happens to the characters in that span of time "
Nathan Hobbs, who is homeschooled, plays Schlomo Metzenbaum, the son of a famous violinist. "I like that the character is a lot like myself in some respects, but in others he's a lot different, and it challenges me as an actor to play this part," said Hobbs. "Fame is a school that kids audition for. Thousands auditioned to get into this school and only hundreds made it into the school. They are the best, and even then they have to work hard. Scholmo's father is a classical violinist. All the teachers say, 'Hey, you need to play the violin.' And he wants to play rock and punk - more modern types." In addition to be a "fun show in general" and "easy to relate to," it's also "a really profound show," said Logan Pitts, a junior at Midland High in the fall, who plays hip hop dancer Tyrone Jackson. "An example is my character. On the surface he does appear rebellious but later in the show it's because he's trying to protect himself from his trouble in English. "And he's a really good dancer who also feels like he doesn't need English in his life that much. That leads to some trouble with his English teacher. There are deeper connections there too as we find out in the second act. That's how it is for all the characters - deeper connections and relationships are discovered after four years at the performing arts high school." Where: Cole Theatre, 2000 W. Wadley Ave.
Tickets: $18 adults, $12 children (18 or younger), $15 seniors (65 or older), $10 active military with ID. All ticket requests must be applied to a membership or paid for. Tickets not purchased online may be exchanged or refunded up to two days prior to the date on the tickets. All online sales are final. Ticket holders must be seated before curtain. Info: Please note that curtain is at 7:30 p.m. for evening performances. The box office is open 10 a.m. to 5:30 p.m. Monday through Friday and an hour before public performances.